The style of this painting is very much linked to one of previous works which featured a horse and flames. 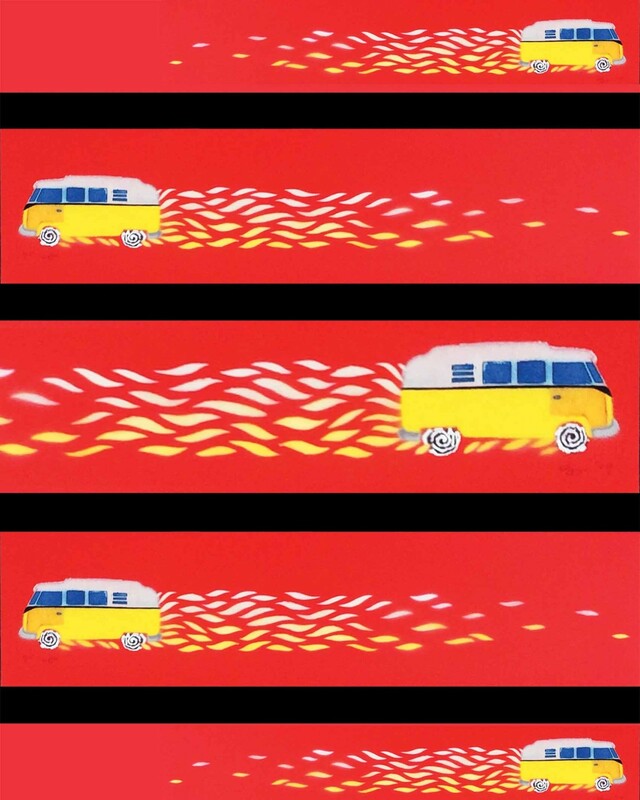 The inspiration for this one came from my love of the old classic VW Campervan along with one of my favourite films Herbie which also features and old classic VW. I chose the title “Holiday” it shows the endless possibilities, directions, locations and levels of excitement people have on their journey to holiday. Some will be off for a short camping trip, others on a long journey to the seaside, taking their trips far and wide. And the different levels and sizes of the campervan with the flames following capture their level of excitement to get to their destination.